(New Delhi, Feb15, 2019): Sugar mills cannot sell the sweetener below Rs 31 per kg, the government announced Thursday, a move that will boost the liquidity of cash-strapped millers and help clear mounting cane arrears of around Rs 20,000 crore. 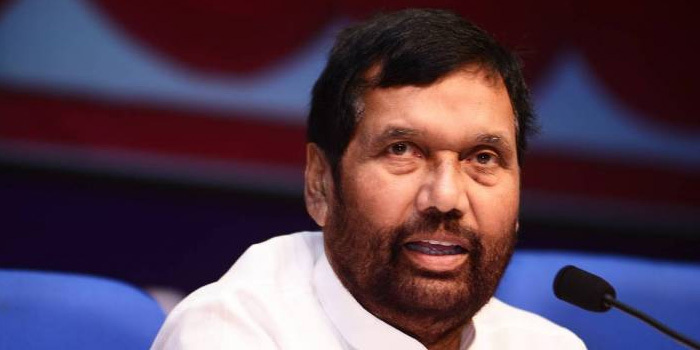 The Centre has hiked the minimum selling price (MSP) of sugar by Rs 2 per kg to Rs 31, Food Minister Ram Vilas Paswan said. MSP is the rate below which the mills cannot sell sugar in the open market to wholesalers and bulk consumers like beverage and biscuit makers. Arrears of sugarcane farmers stood at around Rs 20,000 crore as of January-end, according to industry body ISMA. "We have increased the minimum selling price of sugar from Rs 29 per kg to Rs 31 per kg. This will help millers to make the payment to sugarcane growers," Paswan told PTI. MSP has been increased in view of the rising sugarcane arrears to farmers, Paswan said. The price has been revised upward by Rs 2 per kg following the direction from the committee of secretaries, he added. Paswan also said a mechanism will be put in place to ensure the benefit given to the industry is passed on to the sugarcane farmers. The decision comes following demands from the industry and representation made by NCP chief and former agriculture minister Sharad Pawar to Prime Minister Narendra Modi. In the last few years, the government has taken several measures to help cash-starved mills clear cane dues. These include increase in import duty on sugar to 100 per cent, scrapping of export duty, creation of buffer stock, and subsidy for mandatory export of 5 million tonnes in the 2018-19 marketing year. The Centre is also giving loans at subsidised interest rates for setting up of ethanol capacity. As per the Indian Sugar Mills Association (ISMA), sugar production rose 8 per cent to 185 lakh tonnes in the first four months of this marketing year ending September. The production, however, is estimated to decline to 307 lakh tonnes in 2018-19 marketing year (October-September) from record 325 lakh tonnes in the previous year, it added.